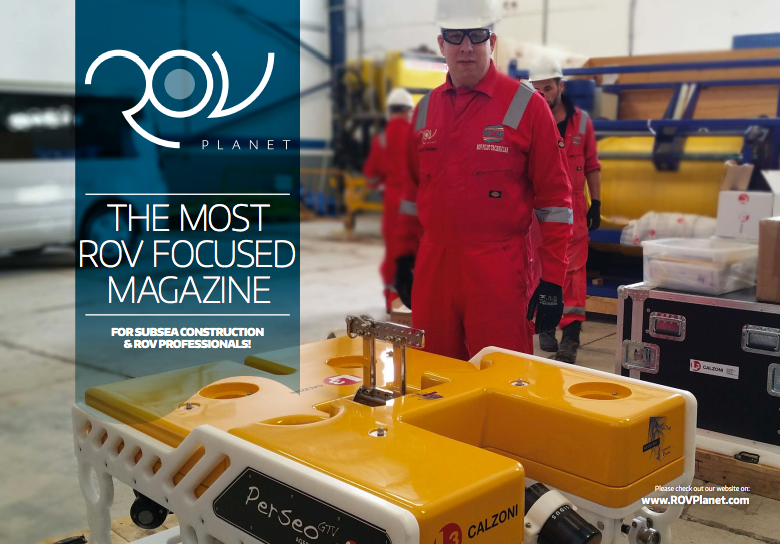 Richie’s stay at QSTAR coincided with the delivery of the upgraded and improved AGEOTEC ROV Perseo GTV, which he had the opportunity to use and …positively review on the last number of ROV Planet.  The system, delivered for the first time in June 2016 to QSTAR, came back to Italy after some months in order to been upgraded, according to the customer requirements. A dedicated ethernet line and a dedicated optical line were added to the system, both in order to increase the flexibility of the ROV. In particular, the added ethernet line allows the user to connect any possible ethernet output device (such as HD cameras, acoustic cameras, etc…) while the dedicated optic line extends the flexibility of the vehicle by allowing a direct connection to sophisticated instruments with direct optical outputs (e.g. HD documentary cameras). A customer like QSTAR can today rent cameras or particular tools, fix them to the Perseo GTV and connect them to the ethernet line or to the dedicated optic line. Moreover, thanks to these two additional lines, multiple tools can be added also together. Vehicle flexibility is further increased if we consider the possibility of adding one or more dedicated skids to fix the tools connected to the lines (ethernet and optics). 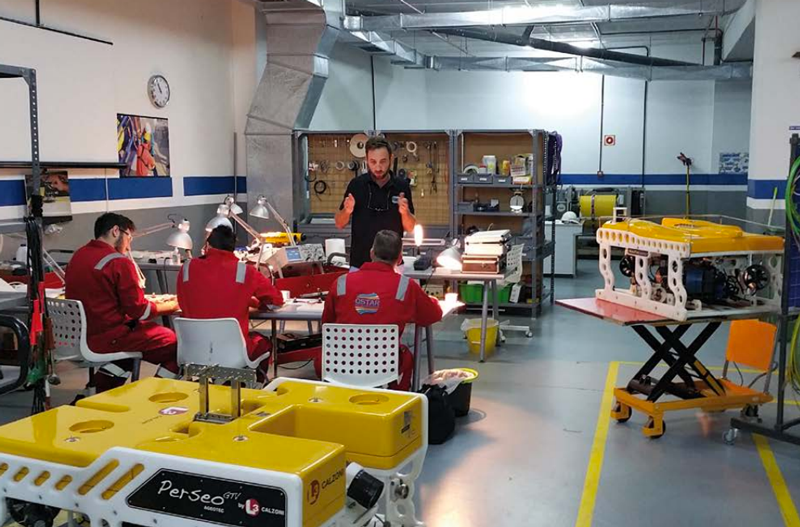 “During my stay at QSTAR headquarters I witnessed the reception of their new Ageotec Perseo GTV ROV coming from Lighthouse in Italy. The Perseo GTV is capable of reaching 1500m and comes with full setup, modular mobile surface equipment, tether winch and the vehicle that is an enhanced Class 2 – Observation – Light Work Class. The ROV is capable of relevant payloads as skids for extra sensors or tooling, providing an auxiliary 3 phase power line dedicated for that. The system returned from the manufacturer after an upgrade for installing a Fibre Optic by-pass link for auxiliary instruments, in this case dedicated for a HD camera, allowing live HD signal to be sent to surface for recording and control. We did a function check in the workshop and the commissioning time was impressively short. In about 2 hours we had everything running and live” declared Richie in his article. 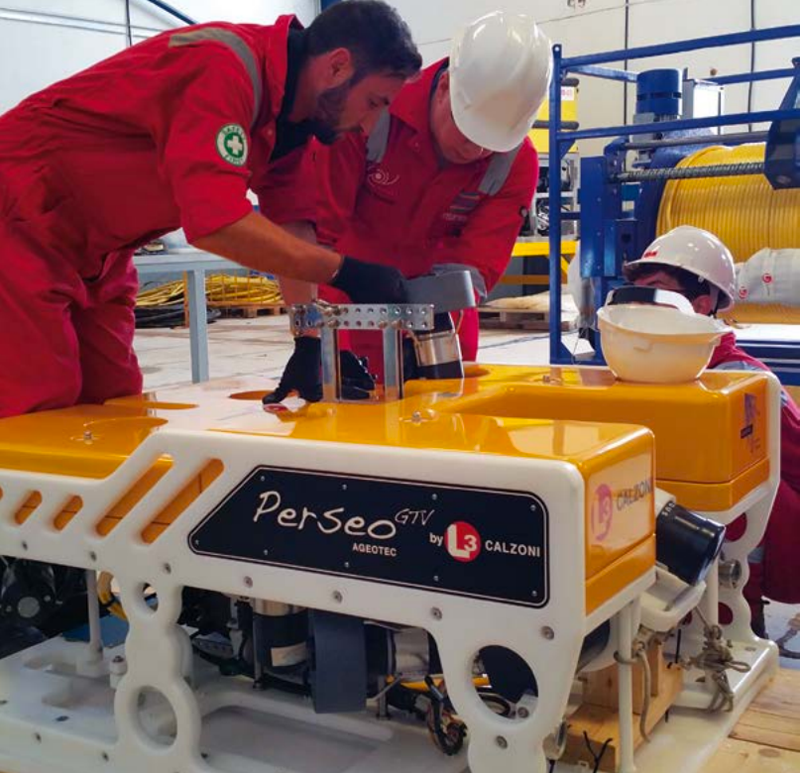 The upgraded vehicle will be used at the QSTAR ROV Services Department, which has been developed in the last years to provide services and offer solutions to the offshore and onshore industries.